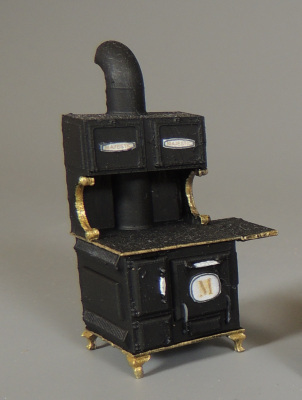 We just love our fabulous 3D resin printed wood stove. The details are simply awesome. This comes to you ready to paint, and detail. Add some tiny copper pots and pans and you have a real masterpiece.